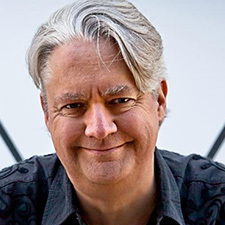 Peter Lovesey is the author of the Peter Diamond mysteries, well known for their use of surprise, strong characters and hard-to-crack puzzles. He was awarded the Cartier Diamond Dagger in 2000, the Grand Prix de Litterature Policiere, the Anthony, the Ellery Queen Readers' Award and is Grand Master of the Swedish Academy of Detection. 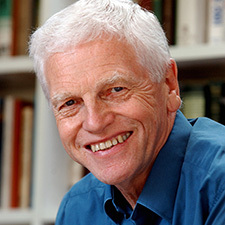 He has been a full-time author since 1975, and was formerly in further education. Earlier series include the Sergeant Cribb mysteries seen on TV and the Bertie, Prince of Wales novels. The Diamond novels, set in Bath, England, where Peter lived for some years, feature a burly, warm-hearted, but no-nonsense police detective whose personal life becomes as engaging to the reader as the intricate mysteries he solves. It is no surprise that in January, 2010, The New York Times Magazine featured James Patterson on its cover and hailed him as having "transformed book publishing," and that Time magazine hailed him as "The Man Who Can't Miss." Recently, NBC's Rock Center with Brian Williams profiled Patterson's prolific career, AARP named him one of the "50 Most Influential People Who Make Our Days a Little Brighter," and Variety featured him in a cover story highlighting his adventures in Hollywood. In 2011, it was estimated that one-in-four of all hardcover suspense/thriller novels sold was written by James Patterson, he is the first author to achieve ten million ebook sales, and he holds the Guinness record for the most #1 New York Times bestsellers of any author. And his success isn't based solely on thrillers like the perennially popular Alex Cross, Women's Murder Club, and Michael Bennett series. Patterson is now also the current bestselling author in the young adult and middle grade categories. Deborah Crombie grew up near Dallas, Texas, but from a child always had the inexplicable feeling that she belonged in England. After earning a Bachelor's degree in Biology from Austin College in Sherman, Texas, she made her first trip to Britain and felt she'd come home. She later lived in both Chester, England, and Edinburgh, Scotland, where she failed to make as good a use of being cold and poor as JK Rowling. It was not until almost a decade later that, living once more in Texas and raising her small daughter, she had the idea for her first novel, a mystery set in Yorkshire. A Share in Death, published in 1993, was short-listed for both Agatha and Macavity awards for Best First Novel and was awarded the Macavity. Crombie's fifth novel, Dreaming of the Bones, was a New York Times Notable Book in 1997, was named by the Independent Mystery Booksellers as one of the 100 Best Crime Novels of the Century, was an Edgar nominee for Best Novel, and won the Macavity award for Best Novel. McKenna Jordan has owned one of the nation's oldest and largest mystery specialty bookstores, Murder By The Book, since January 2009. She has her Bachelor's Degree in English and a Master's in Violin Performance from University of Houston. Some of McKenna's favorite authors: Megan Abbott, Cara Black, Ken Bruen, Kerry Greenwood, Charlaine Harris, Carolyn Haines, Peter Lovesey, Daniel Silva, Jacqueline Winspear.